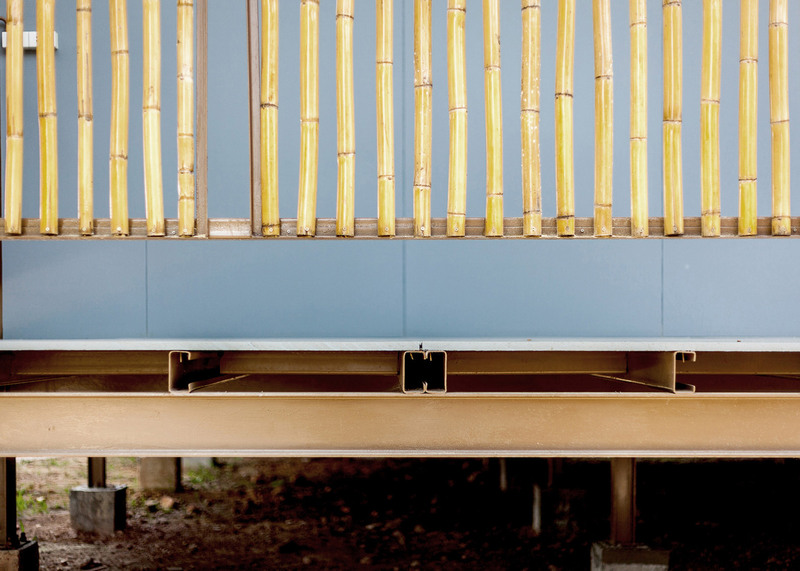 Bangkok-based architect Jun Sekino designed these elevated classrooms in northern Thailand in response to a severe earthquake, which destroyed the school's original building (+ slideshow). The earthquake struck Chiang Rai Province in May 2014, ruining 73 schools and leaving over 2,000 students without classrooms. A programme was set up by charity Design for Disasters (D4D) to build nine earthquake-resistant schools in the worst affected areas. Jun Sekino was one of the nine Thai architects asked to participate in the project. 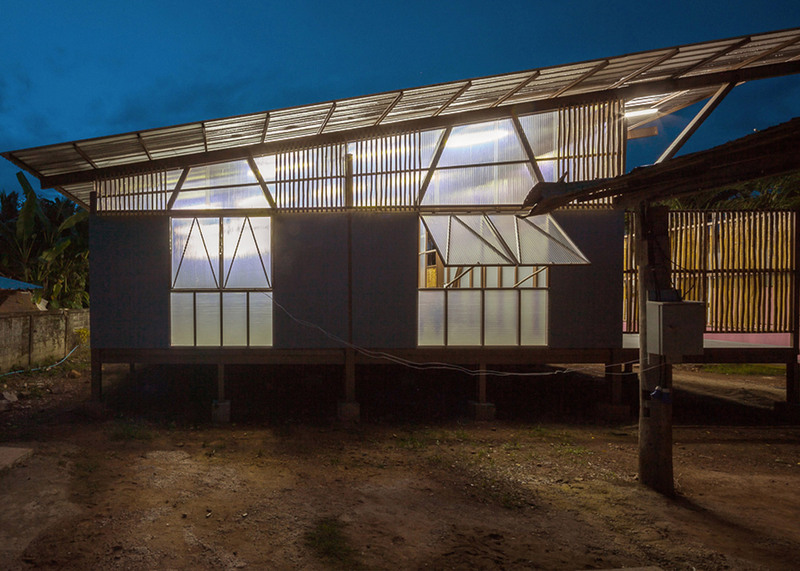 The architect and his studio were assigned the Baan Nhong Bua School, where pupils aged between five and 10 years old were studying in a makeshift structure. 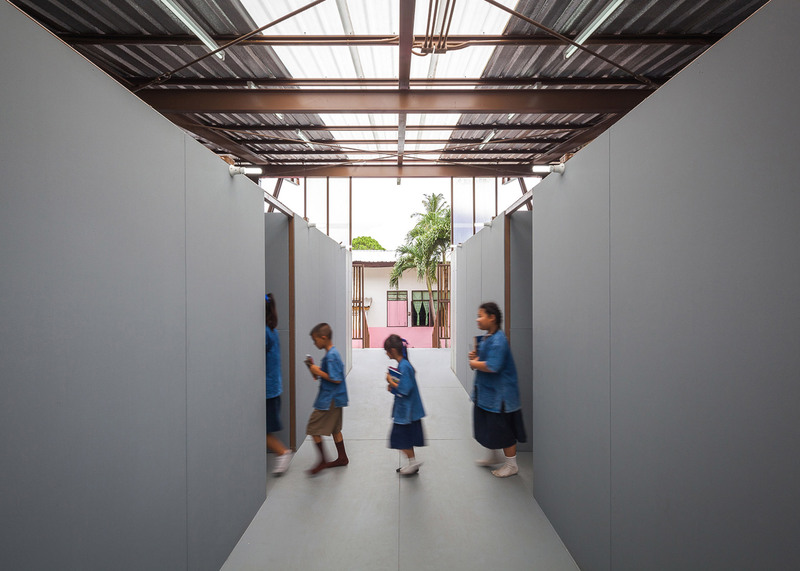 "The school's building, which was damaged, is considered to possess the same standard and pattern with other schools in Thailand; however, this pattern does not brace for the severe natural disasters," explained the architects. "Due to the dilapidation of the building, the students were beseeched to study in a temporary pavilion that was not suitable for learning." 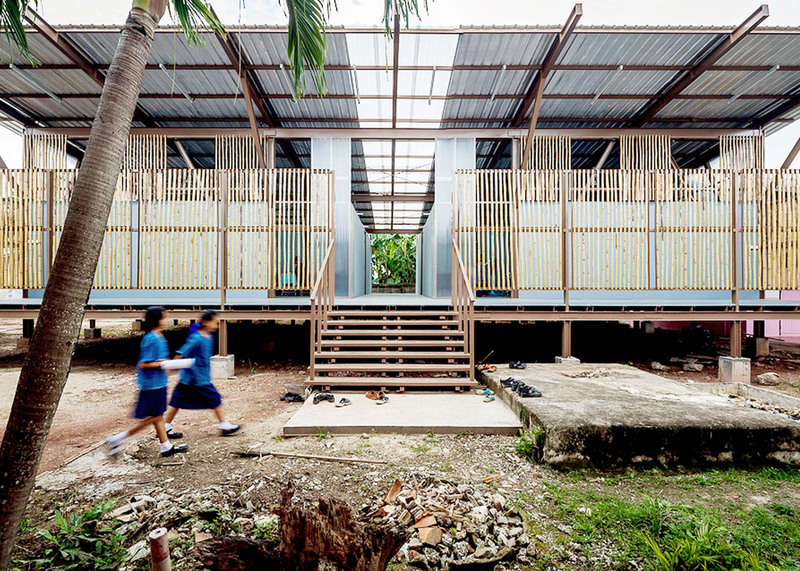 Like the Baan Huay Sarn Yaw School designed by Vin Varavarn Architects as part of the same scheme, the primary school has a steel frame and is elevated above the ground on stilts to avoid the risk of flooding. The non-rigid frame is designed to offer a degree of flexibility that could help to absorb vibrations in future earthquakes. 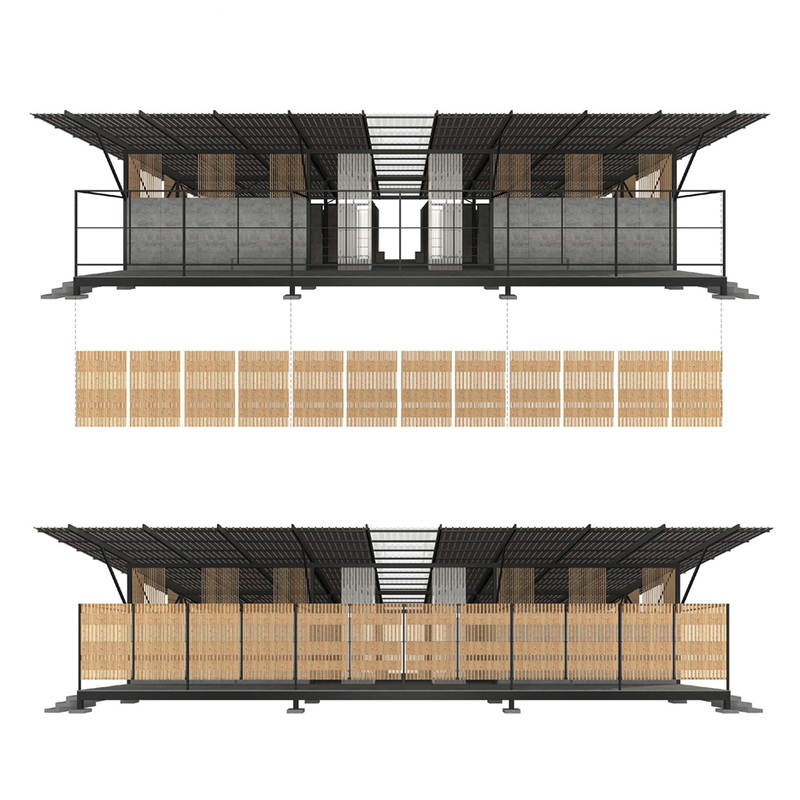 The building features a mono-pitched roof and a wide veranda, which is partially shielded from the elements by the overhanging roof and bamboo screens. This area is used by pupils and teachers to remove and store shoes before entering the main building. The architects selected inexpensive and quick-to-assemble materials for the project, using corrugated plastic sheeting for windows and room dividers, and cement board for walls and shelving. Two pairs of classrooms are set on either side of a wide corridor that divides the building in half. 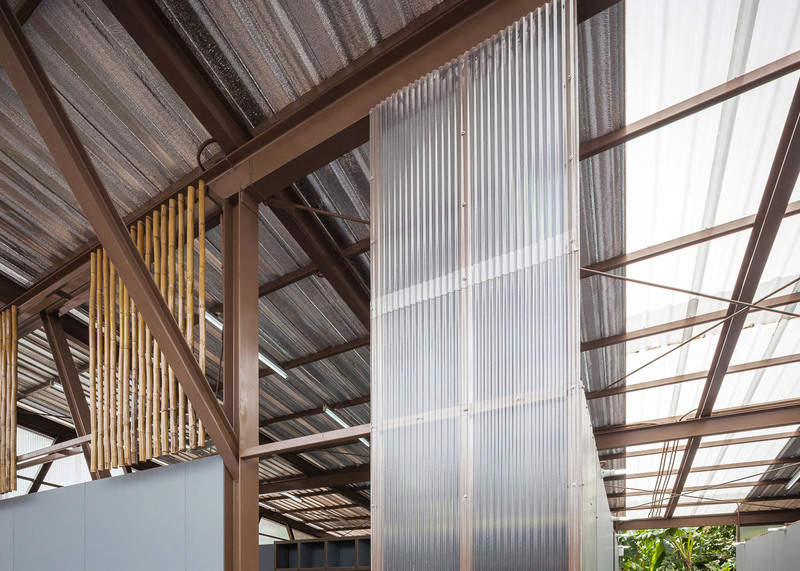 A strip of corrugated plastic inserted below the sloping roof helps to naturally light the grey classrooms. "The building is designed to correspond with the weather condition of the northern part of Thailand which allows the circulation of natural air, and the penetration of natural light into the building," explained the studio. 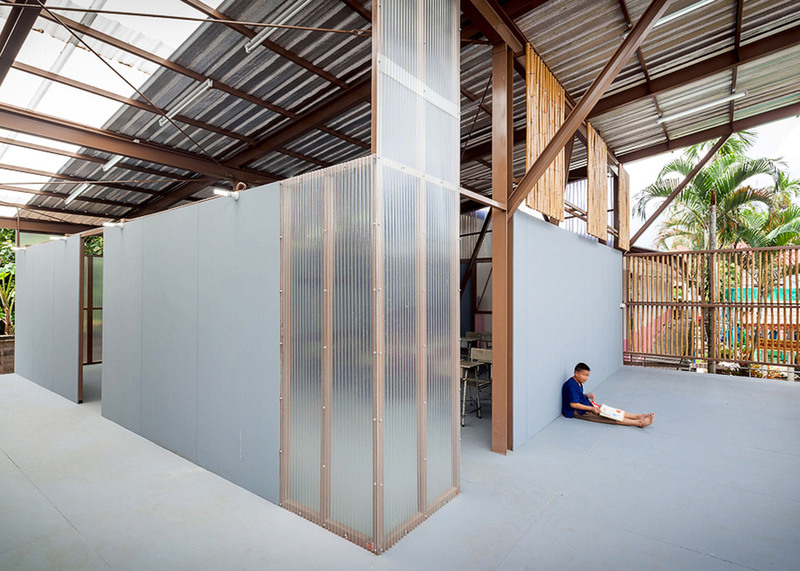 "The building demanded to have pavilion-like appearance in correspondence with the rural architecture in which the ceiling is elevated in order to allow the natural light to penetrate through the classrooms during daytime." 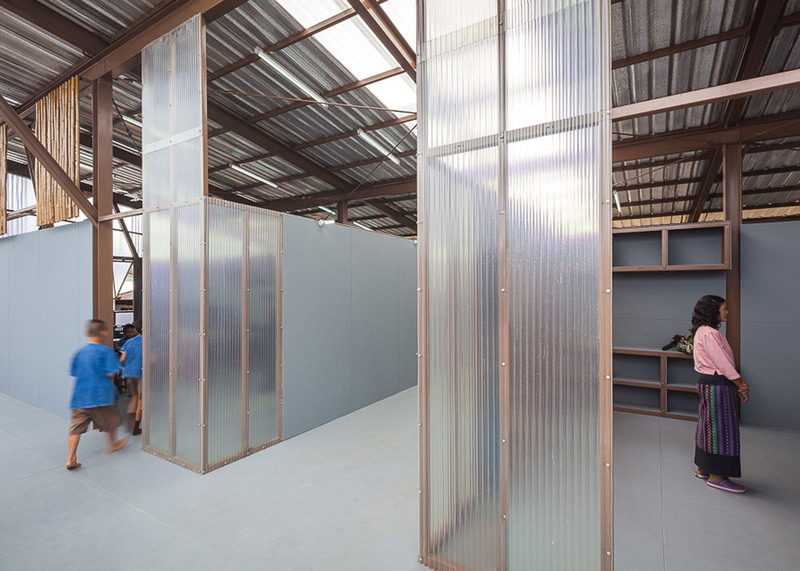 The rooms are formed by bamboo and corrugated plastic partitions affixed to the steel structure, meaning the school has the potential to be adapted in the future to suit the needs of the school. "The most significant concept is the developable design for the real users; students and teachers," said the architects. "In years to come, the users will be able to adjust the functions according to their own demand." Earlier this year architects Charles Lai and Takehiko Suzuki developed a prototype shelter for earthquake victims in Nepal. The bamboo-framed shelter could be constructed by unskilled builders with the aid of a manual in just three days.